In April 2015, I made the decision with my family to go full-time with music and to focus on building up my presence back on YouTube. I had the goal of creating and releasing 3 videos per month plus 1 blog post. I also told myself I wanted to work with the multi-channel network Maker Studio and did my research to get linked with them, eventually signing with them within 3 months of quitting my job. In 9 months released 36 videos (both music & non-music content) on my main channel, while releasing 14 videos on my vlog channel! That's approximately 5 videos per month - a total of 50 videos in 9 months. The year before I decided to focus just on music and YouTube, I released merely 3 videos in 1 year. I had lost my vision and motivation. I didn't carve out the time to make creative content because that part of my soul was neglected and covered in dust. It was time to revitalize and get back into the groove of things. Getting to have a flexible schedule and being open to trying new things (collaborations with other artists, brand deals, etc.) allowed me to relaunch myself into a creative space. We all know that it's supposed to be about quality over quantity, but the quality of the experiences and relationships I built through uploading and letting out into the world 50 videos meant that I was being productive in a special way. This year I don't know if I'll be releasing as much content, but I can guarantee you it'll definitely be more than 3 (hehe :p) , and it'll be worth looking out for. I'm so grateful I was able to try different things, work with new people, and take some risks. One of the risks included potentially losing subscribers because they may not have liked the new things I was releasing. The 'scariest' tangible risk was finances. I really couldn't have gone this long without my husband's support as well as my Patreon supporters. Joules had a lot on his shoulders working his day-job, on top of working on his own music, but he trusted I would use this time wisely. It stretched me in so many directions and really made me question where I stood with music and my presence on YouTube. God was good (as always) to our family so we never had to go under, but I can't tell you how much of a strain it put on us. Faith pulled us through. An example, one month winning a pair of Yeezys helped with raking in some extra dough on the side. Thank the Lord! Joules and I decided that in 2016, I'd embark on a new journey with working full-time again (this time with a new company) if God so opened the door, and learn to juggle music and YouTube with this newfound creative push. I'm happy to announce I got news this week that I was hired full-time with a start-up in Atlanta and I can't wait to share with you more about it as I get more plugged in. It'll be Monday through Friday so nights and weekends will be dedicated to music and building up our household's purpose. My time will definitely be more scarce outside of work hours to create, but I'm sure my community here in ATL will be understanding of my grind and spend time with me in coffee shops or in my home as I edit videos :) I'm confident that I won't lose the genuine support I've been getting from wonderful friends. With that being said, I'm going into 2016 ready to focus on my original music and continuing this fearless mentality of what my channel(s) mean to me. I also have more fun business venture ideas I plan on exploring. The month of December I was able to release two original songs which was a foreshadow to me dialing into more songwriting and I gave little glimpses of what type of videos I want to release for my platform - my canvas for expression! The original songs I released in December - very festive! Denver Bailey: a videographer friend who's been down to create some random work while hardly knowing me - in it to win it. Lacy Q: My channel manager and new friend who's been super supportive during my transition back and celebrating my little wins. My Patrons: Tony Chou, Alysha, Jeram Hyde, Kim, Asa Ellison, Simon Liu, Daniel Lee, Brian O'Dowd, Jenny, Michelle Park, Stephanie Chang, Mel Tajon, Judy Lee, Rowena Tue, Sam Kim, James Ro, Steven lin, John Longawa, Cass Song, Ellen Shen, Jaime & Eric Cho - for having their hand through the process step-by-step. The music & videos wouldn't have happened without you. I end this blog post with the first musical video I uploaded on YouTube in collaboration for Roark's upcoming project #LightsintheDistance. Thank you, and if you haven't already, please subscribe to my YouTube channel! Only a few more days until December but the red holiday cups are hot in Starbucks and I'm sipping a Chestnut Praline Latte as I reflect on this eventful November! So what's new? This past month was exciting because my hubby Joules finally released his EP 'JOHN' that he's been working on for quite some time. I wanted to be sure to support him in every way I could, and as much as I wanted to work with him on my originals, I knew he wanted to give his all to his project. We just released the Official Music Video for "Lady Luck" which I sing on as well as his song "Occupations"
What about your own originals you mentioned? I promise they're on the way! My friend Josh Fu & I have definitely been working a lot with fun covers for everyone, but we just finished writing and recording an original Christmas song which I'm so excited to share with all of you. We're hoping to release it soon so that everyone can hear it and hopefully sing along throughout the holidays! Now that Joules released his EP, he also told me that we'll be able to go into production for the originals I had written for the Steadfast Singles! Friday night I invited over my team of friends I've been working with: Denver Bailey (videographer), Eric Sun (Audio Engineer) and Josh Fu (Artist) as a huge thank you and bonding night.There's really nothing like having a group of people you can work with but also enjoy each other's company with. Speaking of having a team of people you can work with and hang with, I wanted to give another huge shout out to As it Seams for helping me with print designs I hope to post online for sale! They've become great friends here in Atlanta and can't wait to see what we have in store in the future. I also had the pleasure of reuniting with one of my OG fans when she visited Atlanta. She started watching/listening to me when she was in high school and now she's graduated and came to Atlanta for a job interview! There's just something about the connection you have with someone who's seen you pursue your passions from the beginning - though we may not know every detail of one another, it's a familiar and sentimental place. To be aware that I have so much to be thankful for rather than wanting more.. we'll always want more, but to want what we have already is something we always have to work on. I have a wonderful family, wonderful friends, an genuine pursuit for what I believe I'm called for.. everything else is extra. First performance in Atlanta + Fall is here! Visited LA: I had a week long trip in Los Angeles where I got to connect with some musician friends, discuss future projects, as well as enjoy some downtime with family. I actually got to watch my brother's duo DJing group ARMNHMR perform for the first time. You can listen to their music by clicking here. Visited New York: Reunited with my old study abroad Parisian friends and also linked up with musician Jae. He just released his album so be sure to check it out. Hopefully we can work on something sooner than later! Getting to go back to the more "popular" cities like LA and New York had me realize how much I've grown accustom to the city of Atlanta. The hustle and bustle of those two cities I've experienced, loved, but wasn't meant to settle in. Atlanta itself is a city that's thriving - there's constantly change happening and the music scene here is something I haven't tapped into yet. At first it was out of doubt - I didn't know if people would care to listen to me and I was still at the point of giving up on everything 2.5 years ago. Then as I decided to keep music in my life, I started to fear and feel that pressure of performing here. I'm finally biting the bullet with a low key show. For the first time in Atlanta next week, I'll be performing at Urban Grind Coffee House. Hope to see some lovely faces there. You also should all be looking forward to my hubby Joules's project coming out. I feature in one of the songs and we shot the music video for it a couple weeks ago. It's so funny how it works with going music full time. When you start you're terrified and then you get into the groove and can't imagine doing something else. At moments you feel uninspired but those quick surges of energy just flow through you and all you want to do is create and share with the world. I finished listening to Sara Bareilles' audiobook for her new book "My Life (So Far) in Song" and it was so awesome being able to hear the back stories and also her journey to where she got to where she is today. She's definitely someone who not only moves me in regards to music, but influences me as well. Hope I continue to be fearless. We successfully moved out of our place in Midtown and moved into Old Fourth Ward all in one day thanks to some amazing friends. 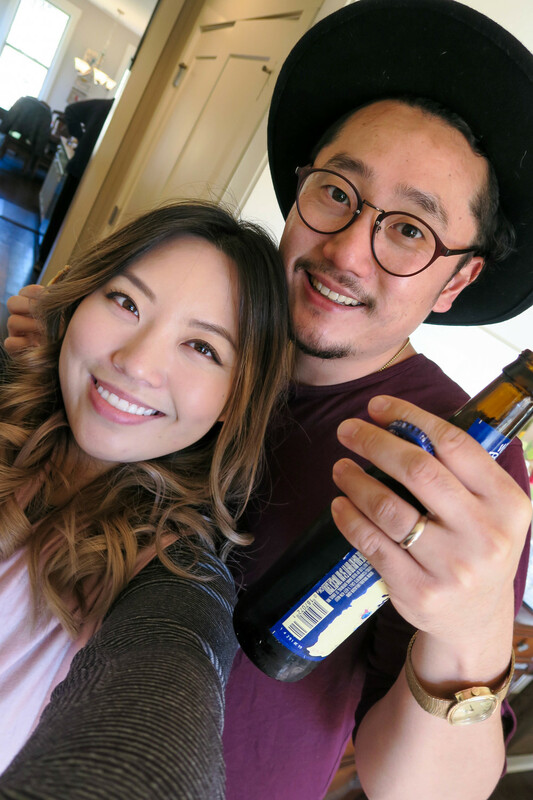 Here's my personal blog thank you to Andrew, Mimi, Ben , Joseph, Jin Ho, Colin, Andrew, and Isaac for making the move smooth despite how overwhelming it was! Again, I reiterate that I've moved many times and it never gets easier. What really helped us save some time was taking advice from Andrew/Mimi by renting boxes from a green friendly company - Better than Boxes. You order the amount of boxes you need, they drop it off to you and you have a week (unless you order it for longer) and they pick it up from where you end up moving to! It saved us a lot of trouble and a lot less things got damaged this time around. Plus, you feel good about goin' green! Prior to the move, my friend Christina was in town and I helped her work a trade-show event for five days on top of packing to move. It was so freaking good to have her, spend time with her, and be part of a cool event but packing on top of that made me start to doubt whether or not everything was going to happen. BUT IT DID, so hurray! After we moved in, we immediately got around to settling in with all of our stuff and hanging the art and pictures that make home feel like home. I took the past week just breaking it in with cooking, practicing guitar, and getting back into the groove of things. Here's a quick look of our home studio at the moment. What we didn't anticipate was the magnitude of the noise coming from construction. The noise is sporadic so that's something that we have to figure out as I make more videos and write more music. God willing, the construction will end sooner than later. With the songwriting I've been doing with Pae-Day, we definitely have enough music for the EP but now we have to buckle down on which songs are going to make the cut. Also, Toby has an instagram now so we hope you'll follow him! Ever since I started coloring my hair religiously, the biggest thing to keep my hair healthy and have the color last longer has been not wash it often! I know, I know.. some people think it's gross but that doesn't mean you can't shower! All you have to do is have a shower cap so that you can scrub-a-dub-dub your body. After a whole day of soaking up the sun and relaxing by the beach, I decided to put my hair up into two buns. This is one of the easiest ways if you're in a time crunch and braiding hair isn't your forte. 2) Split it into two parts. 3) Take the first part and twist it outwards away from your face. Once it feels tight, you twirl it into a bun and use a hair tie. Then you put bobby pins in place to hold! 4) Do the same to the other side.